Home › Uncategorized › Aurora solar thermal plant receives DA. 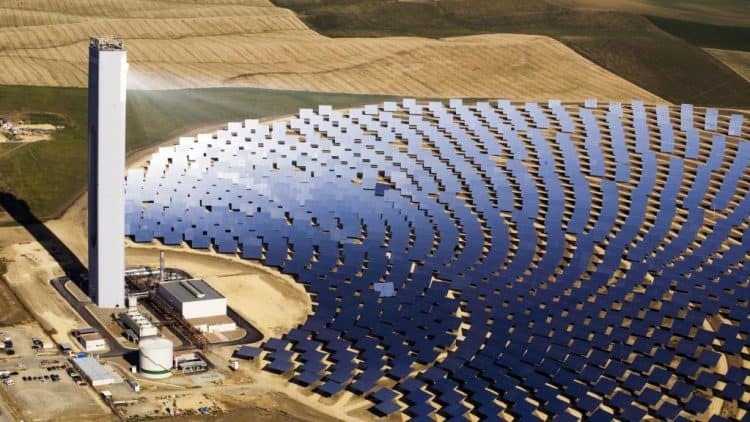 The Aurora solar thermal plant in Port Augusta, South Australia, received developmental approval today and the $650m, 150MW project will commence construction later this year. It’ll be built by Santa Monica based company SolarReserve, also responsible for the 110MW Crescent Dunes Solar Energy Project solar thermal power plant. “It’s fantastic that SolarReserve has received development approval to move forward with this world-leading project that will deliver clean, dispatchable renewable energy to supply our electrified rail, hospitals and schools,” Mr Picton said in a press release yesterday. Natalie Collard, the executive GM of the Clean Energy Council, told Fairfax Media, “the price that the government will pay for power is remarkably low, considering solar thermal is a very young technology in Australia. “The state has taken a series of positive steps towards greater energy independence which are really starting to pay off. And it has already met its target of 50 per cent renewable energy almost a decade early,” she said in a statement. We’ve previously written about the South Australian solar thermal power plant back in August – so you can follow that link for more information. After completion, the Augusta project will be a global leader – the world’s biggest single-tower solar thermal power plant. Rotating mirrors known as heliostats focus solar energy onto a single central tower and utilises molten salt technology to store this heat, which it then uses to create steam which turns a turbine to generate energy. It’s important to note that this isn’t just regular solar thermal – the molten salt storage solar thermal helps renewable baseload energy a lot more effectively as it can deliver energy faster than regular solar thermal. With the closing of traditional power stations like the Hazelwood dirty coal station earlier this year, ensuring reliable and cheap baseline power energy is a key piece of the Australian energy puzzle.